Wild Fell by Michael Rowe is available at Amazon and Barnes and Noble. I enjoyed the beginning of this book. The writing reminded me strongly of Mary Stewart so I expected a gothic romance of similar tone. 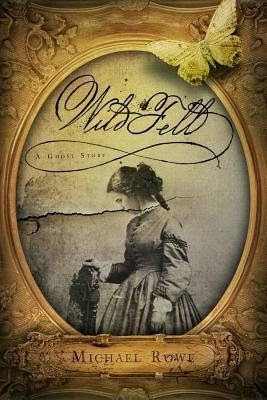 An unusual prologue depicts one of the unusual deaths involved in the legend surrounding Wild Fell, a Gothic mansion built on an island of Ontario, Canada. Chapter one introduced a new character: Jameson Browning, feeling guilty about leaving his Alzheimer-stricken father in the care of a nurse, begins to reminiscence about growing up in a divorced home with a lesbian for a best friend, while explaining how he inadvertently discovered a ghost. I double-checked to make sure that I wasn't mistaken about the name mix-up and was surprised to discover Ardelia instead of Amelia. But the end result remains the same - the story lost its steam. After that, I noticed every flub and it seemed the editing deteriorated toward the end of the story - an end that didn't make sense because it felt rushed. I received a free copy of this book in exchange for review from NetGalley. The copy I received did not specify this as an uncorrected proof so I can't guarantee editorial changes in other editions.